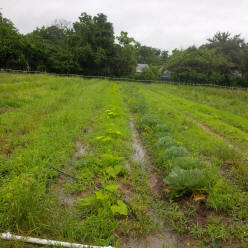 It’s Fall CSA Share sign up time, for many farms, including mine here in southeast Dallas County. That means I’m on my soapbox. So, kick off your shoes, grab something to drink and check this article out. It’s a bit longer than a “blog” entry, so I guess I'll have to qualify it as a self published article. Oh well. I was on a roll, what can I say? Back in 2007 or so, a certain book crossed my path. I’d started toying with the idea of starting up a farm using the CSA model and Sharing the Harvest was the go-to instruction manual as well as history book on the subject. By paraphrasing here for you parts of the Forward, Introduction, written by then co-founder of the CSA movement in the States, Robyn Van En, as well as the beginning of the book written by her co-founder Elizabeth Henderson, you may see how it absolutely touched my soul, as well as my conscience. As just a person who shopped for food, prepared it and ate – like most of America, it was certainly an education. It took me many years to feel worthy enough to acknowledge myself as a farmer because of how indebted I felt to the many generations of farmers that had fed me all of my life, without my having given it a second thought. “The essence of the CSA relationship is the mutual commitment; the people support the farm and share the inherent risks and potential bounty. By pre-paying for their food, essentially, they helped the farmer not only financially, but saved them countless hours of marketing the sale of the bulk of their crops, by providing a guaranteed market of eager consumers. Many generations ago, growing food nearby to where one lived, was pretty ordinary, it was as basic as breathing and drinking. If this basic connection were to be broken, trouble was sure to follow. Well, guess what – it’s pretty broken these days. In the USA, most citizens have no clue where their food comes from, how it is grown, what it takes to go from seed (or cutting/transplants) to the food that they pick up off the shelf at the store, at their favorite eatery or out of a vending machine. They don’t know who grew it, nor can they see it growing, much less touch the soil that produced it. And many could care less, so long as it’s cheap. With the onset of “free trade” the number of miles food traveled was extended. Plus, it’s often produced in countries where the people’s pay, and sometimes growing standard, is considerably lower than our own. Wages here are already pretty low for agricultural workers, which means our own country’s farmers can’t even sell what they grow within our own country, and many of the workers can't afford to buy it! But everyone is all excited at the supermarket when there’s a sale on this or that vegetable or fruit, especially if it’s not even “in-season”. Most don’t usually stop to think about where it came from or at what human cost that cheap price came at. Enter NAFTA and walah! We had tomatoes year round as well as other produce normally only found seasonally, and at much lower prices than before. Then, the WTO allowed government supported apple juice concentrate from China – to undersell our prize winning state of Washington’s juice. (Contrary to what many may not know, most produce is not subsidized by the “farm bills” often in the news during renewal time. Those monies generally go to farms producing commodity crops like alfalfa, cotton, and genetically modified animal feed crops, corn, soy and sugar beets, that is later turned into sweetener and cheap, mass produced foods. Farmers of produce, however, were – and still are - shouldering the risk, entirely on their own, of this brave, new “free trade” market. This forces many off of their land because they just can’t cover costs anymore. 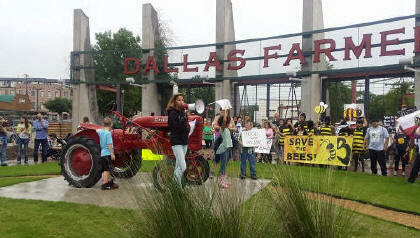 It is often more profitable for them to sell out to developers, as we lose farmland at alarming rates every year. CSA offers one of the most hopeful chances to save small, family farms from a downward spiral, that only promises to get worse, the more global trade and retail co op programs that pop up, keeping prices lower than American farmers can compete with; large or small. Community shared the risks of nature, (crop failure, due to weather, disease, pests, etc. ), with the farmer, who’s tireless hours of work, was always non-refundable. CSA programs were started up all over North America in the 90’s at the urging and coaching of Robyn and Elizabeth. They soon gathered brochures and newsletters from CSA programs all throughout Canada and the US in order to write the book, in hopes of helping other struggling farmers, farmers who needed help starting a farm and consumers who wanted to help secure a local source of food for their families. This basic element in and of itself, is what sets CSA apart far and wide from any food co op share program, on-line ordering to your door food club service or really even shopping at the local farmer’s market. There is no shared risk in paying only for what you get, when and if the farmer is able to produce it and get it to market. CSA answers the growing concern of production and distribution of food that is grown to the standards we expect – high quality, carefully and responsibly grown. Early on in the movement, in the mid 90’s, however, large farms started adding CSA to their other marketing programs, which often watered down the original sense of involvement and shared risk by the consumers. When there is a lot of competition for the same product, as there is in CA, it was often risky on the part of the farmer to ask for this risk sharing, because some people, who may not fully grasp the importance of that very unique aspect, will find a more secure source of produce if an interruption in the flow of shares comes along. Sometimes doing so, by-passes the local or organic sources, through a co op or other food club, unbeknown to the consumer. This is something I’ve seen happen a lot in DFW as various non-farmer entrepreneurs came to town a few years ago when the CSA movement was just starting to take hold here. Farmers who had 150 – 200 members, and were making a decent income, saw those numbers drop considerably as more food co-ops and big out of town farms moved onto the local scene to grasp some of the quickly increasing interest in local food. Unable to compete with a guaranteed food “share”, especially with the ensuing effects of the drought, and the input of imported fruits and veggies when our state’s weather or season didn’t produce them, many have all but gone out of business, or nearly killed themselves trying to compete. Keeping up with the Joneses is financial suicide in farming when the Joneses are compiled of several out of state, or at the very least, much larger more accomplished, farms looking to expand. And this is happening all over the country, especially where genuine farmer direct CSA is not truly understood or promoted by media. Co-opting food from several sources is much different than pulling a share of the harvest together from one's own property. And buying and re-selling produce is kind of counter productive to being a farmer, unless you're buying things for your members that you are unable to grow. But, this is very risky, too, and not how most core members would want their share membership monies spent - to support some out of state farm's budget. 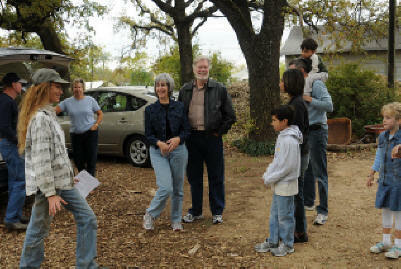 Unaware of the differences between CSA and Co-op, however, many consumers unwittingly had a part in what has resulted in only a handful of truly small, local family owned farms hanging on by a wing and a prayer here in our North Texas region. Many newbie farmers start out with corporate career savings only to find looped together one or two poor seasons of drought, flooding, extreme freezes, etc, taking a huge bite out of any profit they may have enjoyed, and quickly draining their safety net. Many are forced to send one partner or the other back to an off-farm job – when there is a partner to do so. Many times both work multiple jobs and try to keep the farm going in the wee hours, while siphoning money into the farm from the “real-world” job. And they slink up to a drive-through and eat way below their normal standards, just because there just is no time to work so many hours and prepare the beautiful food they’re growing and raising – and selling to others to eat! It’s sad to me to see the fast food wrappers in the trash of a fellow farmer’s front seat, when I know full well they are growing gourmet quality food, but have to do chores instead of preparing their own meals. CSA was designed to keep this craziness from happening! 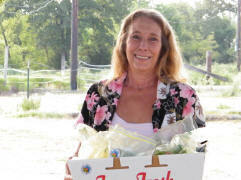 Yet, more and more people are steering away from this livelihood saving model, and snatching up the home delivery services of food co-ops often masking themselves as “just like a CSA”, when nothing could be further from the truth, or being offered more payment options, or food selection. It was similar when large chemical companies started with the introduction of “eco-friendly” labels being sold right next to their own brand of highly toxic, un-environmentally friendly products. Sure, it’s a free market, and I support that. But calling your company “earth friendly” on one label while selling something that kills the planet on the next – seemed a bit hypocritical to many, and thus was tagged as “greenwashing”. Not a tag a company wants, yet still today, so many get away with hiding behind because consumers are ill-informed or outright misled through deceptive marketing. I've seen this right here in our local food scene as well. Your farmer direct purchase means that all of your food dollars are going to the farmer to help pay the budget to keep that farm in your community sustainable during hard times. Now, we’re also seeing large conventional companies buying up small batch, organic and sustainable independent producers; presumably so they can keep as much of the % of your food dollar as possible. Organics is growing, but geez, we don't make up but a very small percentage. Some want it all! This morphing of smaller, organic companies, also gives them a lot of scary clout at the USDA’s and FDA’s tables when discussions come around for what should and what should not be allowed in the process of growing organically and food safety standards. When lobbyists make various promises, or former big ag employees have persuasive positions within our government, small, local farmers don’t have much of a chance to have their voices heard. Nor does the consumer end up with a voice, either, as they are kept in the dark because of lack of informative labeling, or again, misleading marketing. So you see, if you really want to know where your food comes from, how it was produced, who grew it and look your farmer eye, like you can your mechanic, your doctor and lawyer; CSA is the best way! Your farmer direct purchase means that all of your food dollars are going to the farmer to help pay the budget to keep that farm in your community sustainable during hard times. Your money is not going to some middleman, wholesaler, and transportation company, etc. Trust me, all of the small farmers I've known, have lowered their overhead much lower than most people would choose to live, just to survive another season. Your food dollars spent "farmer direct" help keep people from losing their homes, working without proper equipment; and potentially, giving up their very livelihoods. They work hard for you – and appreciate you. We all love what we do, but can't do it for pennies on the dollar, and keep doing it very long, any more than any one else who works for a living could. CSA – Farmer Direct – All the Way!